Working in the semiconductor industry is not for the faint of heart. The race to be first to market leads to aggressive project schedules. With small increases in yield leading to millions of dollars, designs have to be robust and systems need to provide 100% uptime. Finally, breaking new ground technically requires creativity, flexibility and a “can do” mentality that can adjust to constantly changing requirements. The Hallam-ICS Semiconductors team has over 35 of experience in the design, construction and start-up of semiconductor manufacturing and research facilities. We understand the unique needs of your industry and, like you, we hold firm to a “no defect” policy in our designs and installations. Our engineers are talented, experienced and highly responsive. 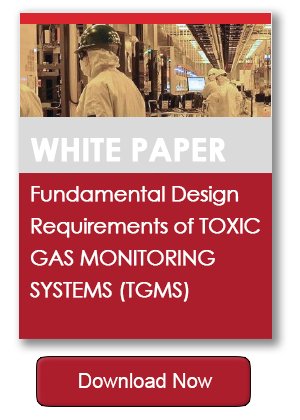 Our MEP engineering and control system team have expertise with the design and installation of facility, process and specialty systems, and are recognized as industry leaders in the design and build of Toxic Gas Monitoring Systems (TGMS). Let us put that knowledge and expertise to use to benefit your next project. Have a technical question? Our SEMICONDUCTOR SPECIALISTS have the answer.